Meetings help your business run smoothly. However, they are also paramount in enabling big decisions to keep your business moving forward. Consequently it is important to keep your employees engaged in order to ensure that your meetings are as productive as possible. One way to enhance the quality of your meetings, is by looking at alternative settings in which to host them. Breaking free from routine can inspire your employees and lead to increased creativity and involvement. There are several reasons why holding a team meeting away from the workplace can be beneficial to your team. Whilst the purpose of your meeting may not strictly be for team bonding, getting out of the office is an excellent opportunity to bring your team together. By getting away from your usual surroundings, you remove some of the tension that can sometimes exist in a work environment. Larger scale meetings that bring together employees from multiple departments in particular can benefit from a change of setting. By hosting meetings in neutral territory, you are giving your staff the opportunity to interact more comfortably. Meetings that are held away from the normal working environment tend to see increased rates of focus and concentration. This can make off site meetings especially useful for meetings where important decisions need to be made or considered. They allow for a clear distinction between focusing on the meeting and having your attention being drawn away by sitting at a work desk. Taking your staff offsite for a meeting implies real importance to the subject matter. As a result, you can expect a more focused audience. Furthermore, a different, more relaxed environment for your work meetings will encourage participation from all employees at all levels. Receiving feedback from different teams is essential in ensuring you have cross-department agreement. Getting everyone involved in these meetings ensures that any potential problems are spotted early, preventing any one department from wasting their time on tasks that won’t take the business in the right direction. Having all the teams in these meetings also ensures that everyone has a firm understanding of new developments, the overall direction of the business, and how each team plays its part. It’s a fairly common understanding that sometimes the best way to solve a problem is to step away from it for a bit and come back to it with a fresh mind. This also applies to getting the whole team together in a new environment! Offsite meeting spaces can facilitate creative thinking by simply bringing people out of their comfort zones and ruts of their typical day-to-day. Creativity and productivity heighten when people are in new and inspiring spaces. Offsite meetings are useful for generating new ideas and finalising decisions. Have you decided that you want to host your next team meeting outside of the office? The 4-star Carrigaline Court Hotel is one of Cork’s top conference and wedding venues. 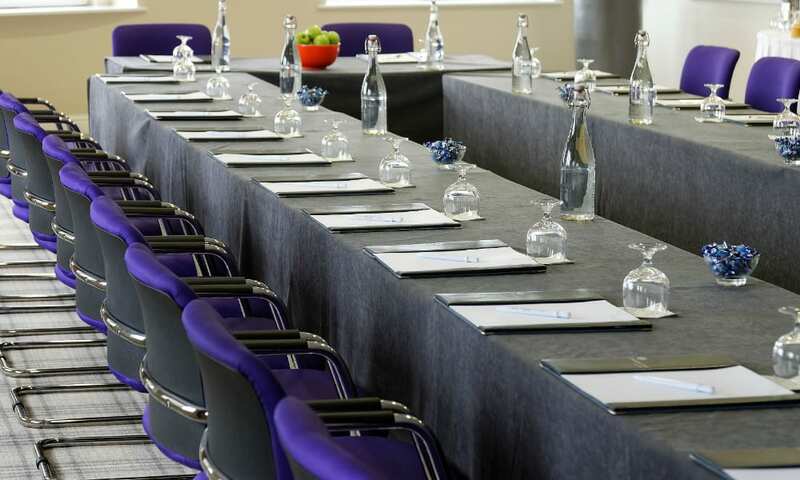 We have ample meeting rooms, suitable for numbers from 2 to 400 people. Furthermore, each room has complete sound proofing, air conditioning, up-to-date audio-visual equipment and are all suitably accessible. As a result, this will ensure the smooth running of every event and occasion. Contact Sinead to arrange your next meeting with us today!